The life-cycle of a butterfly is a remarkable series of changes between seemingly very different forms culminating in the emergence of a butterfly. And it all starts here. 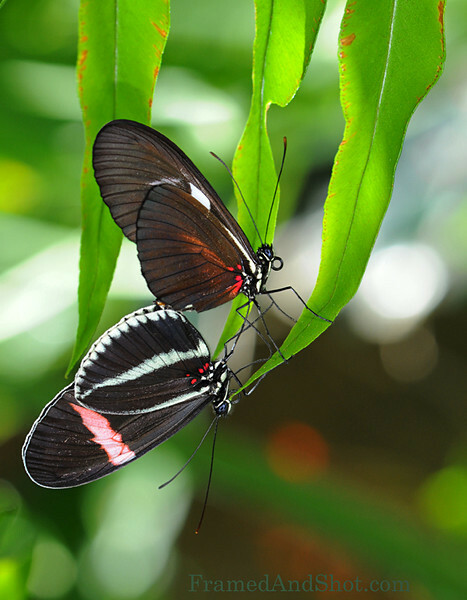 A male butterfly has several methods of determining whether he has found a female of his own species. One way is by sight. The male will look for butterflies with wings that are the correct color and pattern. Like many other species in nature there is often a courtship routine preceding the actual mating. Some butterflies fly in spirals, sometimes the female lies with her wings in a certain position. Once it is established that the pairing is suitable mating takes place. The butterflies stay coupled for a period of time. Sometimes a short time sometimes longer. It is not unusual for the pair to fly while still coupled. During the mating process, when their bodies are joined, the male passes sperm to the female. As the eggs later pass through the female’s egg-laying tube, they are fertilized by the sperm. The male butterfly often dies soon after mating.